At the top of Schuss Mountain. When you’ve got a perfect winter day – bright sun, clean snow and an impossibly blue sky – there’s no better place to be than the top of Schuss Mountain. There are higher hills, but this one is just perfect – peering across that lovely valley of the Cedar River with its timbered slopes to the east, and back toward the Chain of Lakes to the west, feeling that winter sun warm on your skin. It’s one of the reasons I love hanging out at Shanty Creek Resorts. Sprawling across an undulating plateau, Shanty is actually a complex of three interlocking “villages” -- Summit, Cedar River, and Schuss -- connected by trail systems and serviced by a reliable shuttle system. Its ski areas feature a 450-foot vertical with 53 runs for every ability level. Founded in the postwar years as an American version of Europe’s classic ski areas, Shanty Creek was purchased in 2006 by Trinidad Resort & Club, which spent $10 million on renovation and redesign work. 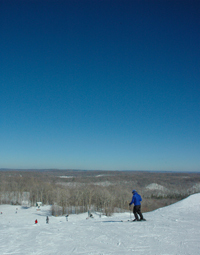 Local ski writer Mike Terrell called it “one of the more unusual snow sports resorts in the Heartland” -- a combination of classic and contemporary encased in forested hills with panoramic overlooks of Lake Bellaire and northern Michigan. “There isn&apos;t another setting quite like it anywhere around the Great Lakes,” Terrell wrote. 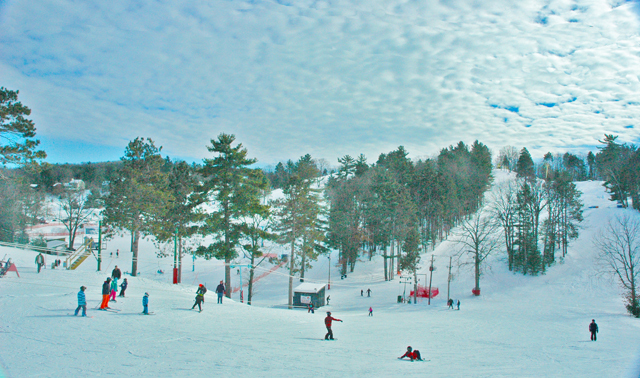 For winter visitors who prefer to stay closer to Traverse City, two day ski areas -- Mt. Holiday and Hickory Hills -- provide yet another alternative. 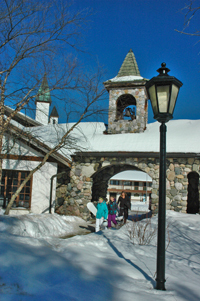 There’s something quaint about these two ski areas; both are small, intimate places that hearken back to a simpler, friendlier time – and that informal, neighborly atmosphere is another attraction for visitors. Saturday afternoon at Mt. Holiday. Mt. 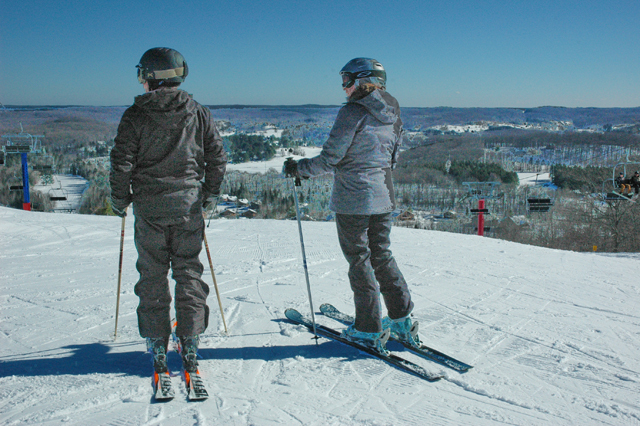 Holiday is a community-run ski area just east of town with 16 runs, two chairlifts, a tubing run and terrain park, a pleasant day lodge, and awesome views of EastBay. 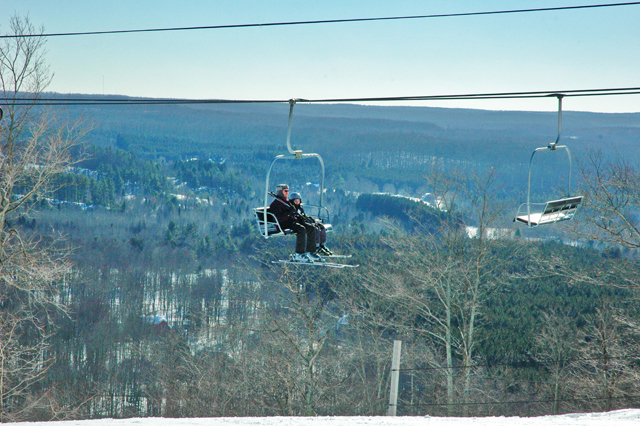 On the other side of the city, Hickory Hills is a small municipal ski area nestled in a deep bowl of tree-topped hills less than five minutes from downtown that offers eight runs served by old-fashioned rope tows.